Understanding and providing sensory seeking activities to calm and organize sensory seeking behaviors in your “wild” child. Products provided for review, affiliate links used. Would you describe your child as wild, rough, or dangerous… maybe even that they display sensory seeking behavior regularly? 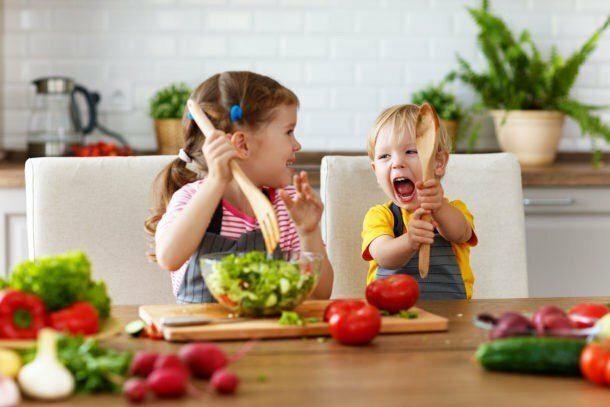 Although there are a variety of reasons a child may consistently seem to have a lot of energy or participate in extreme behaviors, sensory seeking activities can be used to help give a safe outlet for all that energy. If sensory processing differences are the cause of the wildness in the first place, which is commonly the case, giving your child opportunities to get the sensory input they need can actually improve how they process sensory input in the future! That is pretty cool, right? 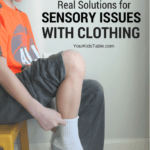 As a pediatric OT, I have some tried and true sensory seeking strategies that are effective for a wide variety of kids. Of course, each child is unique, and how your child responds to particular sensory strategies will be unique, too. 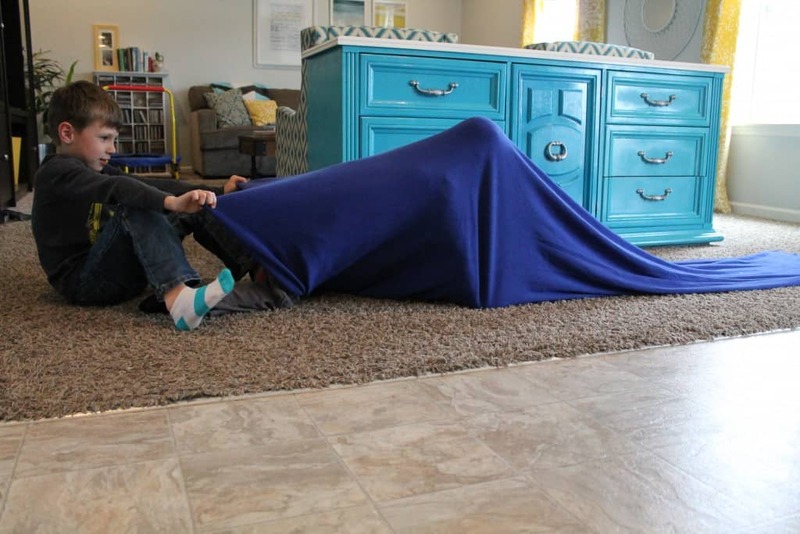 I’m going to share with you my favorite sensory strategies for kids with sensory seeking behavior, but I would be totally remiss in not letting you know about the FREE Sensory Workshops! This workshop is packed with a sensory plan to help you help your sensory kiddo. This sensory stuff can be complex and abstract. So many families I’ve worked with find it hard to piece it all together. Don’t miss this rare opportunity! What Does Sensory Seeking Behavior Look Like? One of the most common ways that parents describe their sensory seeking child is: WILD. I can’t tell you how many times I’ve walked into a families house for the first time to hear them say, “You’ve never seen a kid like mine, they climb the furniture, run constantly, plow through other kids, and then, you would think they’d be exhausted, but they have trouble getting to sleep.” Of course, the truth is I HAVE seen many kids like this! These kids seem to be in constant motion and sometimes have a hard time playing with other kids because they are so rough. They also may have a hard time sitting down to focus on activities. 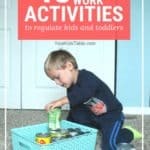 Those activities can be anything from homework to eating dinner. Kids that are always seeking sensory input may even be unaware of dangers other kids seem to notice. They may run into the street or a parking lot without a second thought or participate in some really scary behaviors like trying to climb the refrigerator. Why Is Your Child a Sensory Seeker? What’s the deal? Why are some kids so active, rough, and even dangerous at times? Well, for a variety of reasons actually. 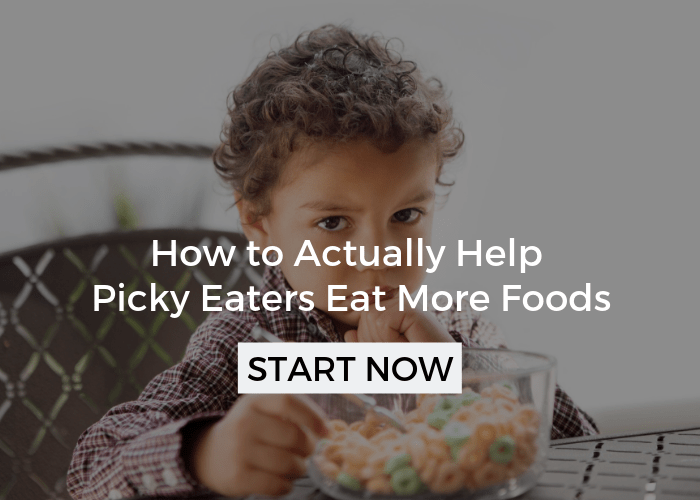 It could be diet related, strictly behavioral, or due to differences in the way their brain processes the sensory input it receives all throughout the day. The last of which is what we are talking about today. From a sensory standpoint, we are talking about proprioception and vestibular in particular, or our body’s ability to move through the environment effectively and stay balanced. 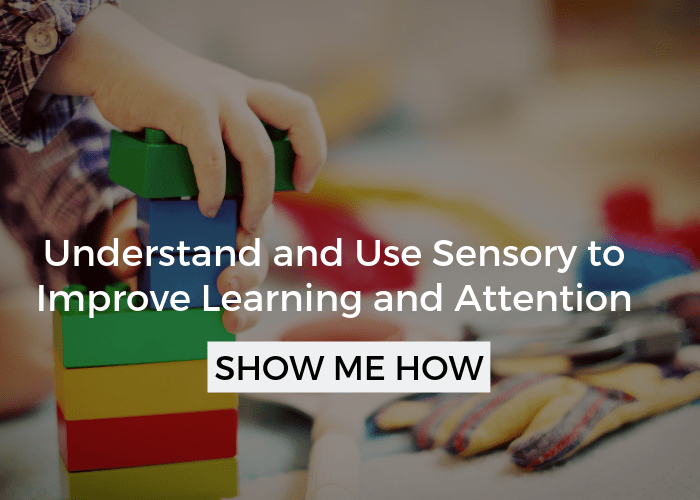 Sensory seeking kids are often not processing the normal sensations they receive to stimulate those sensory systems throughout the day and as a result, seek it out more. Meaning, they want activities that give them lots of proprioceptive and/or vestibular input. The Solution to Sensory Seeking Behavior? The solution is to give them opportunities to participate in activities that meet their sensory needs. For kids seeking sensory input that tend to be described as wild, rough, or dangerous that means activities that give them a chance to move their bodies. But, it also would mean giving them a productive or safe outlet before challenging times of the day, like, meals, homework, and bedtime, for example. 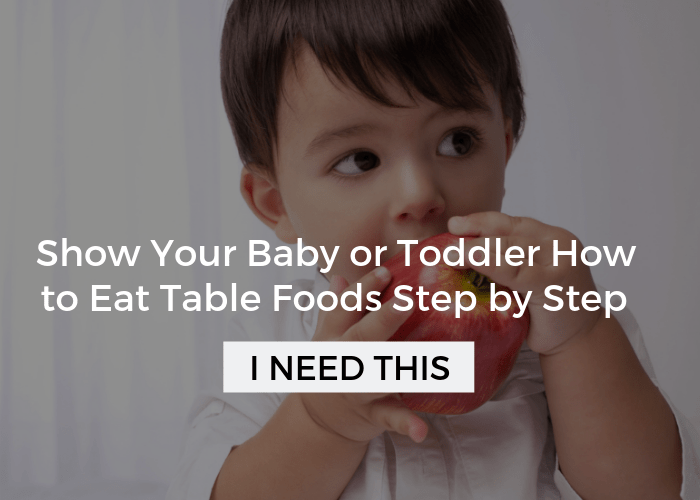 That may mean setting up sensory activities somewhat routinely (otherwise knows as a sensory diet), or maybe not, depending on what is comfortable and effective for you and your child. 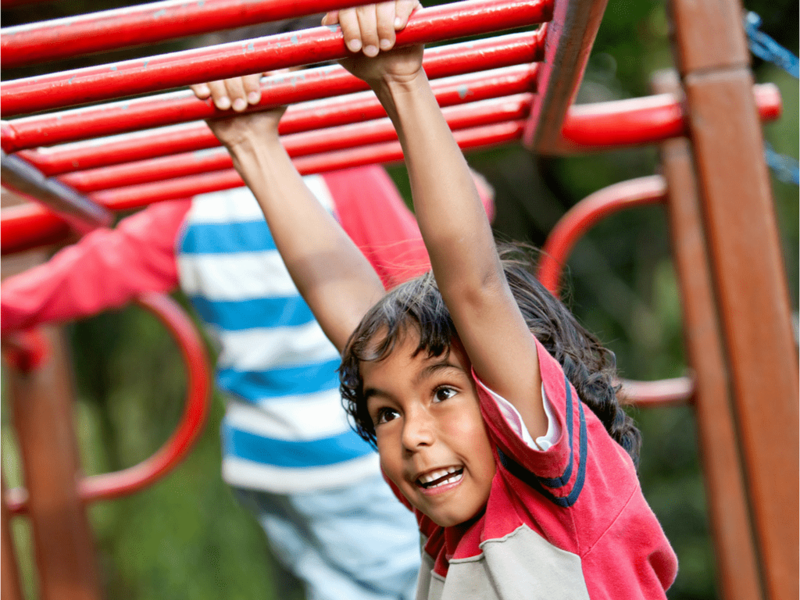 Proprioceptive activities involve anything with pressure to the muscles and joints, so actions like squeezing, hanging, climbing, and jumping give input to this sense. You can learn more about this powerhouse sense and find dozens of proprioceptive activities here, as well as on my Sensory Basics page. Vestibular activities involve anything with movement, and kids tend to seek that out by spinning, swinging, or climbing something high. I want to share with you 4 general ways you can help your sensory seeking child calm down and get a little organized. 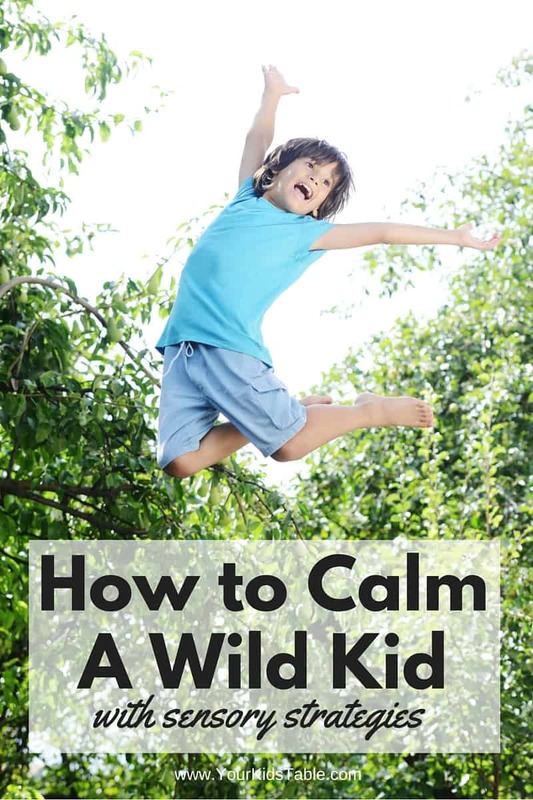 I’ll give you a couple examples of free or quick ways to implement activities and a few items that are worthy of investing in because they get a lot of mileage with a wild, active sensory seeking child. First, I’d like to introduce you to Fun and Function because they have a huge selection of exclusive and affordable items to support kids with special needs, especially those with sensory challenges. I’m particularly partial to them because their founder is an OT and mom who knows how hard it can be to find tools to help kids with sensory challenges. 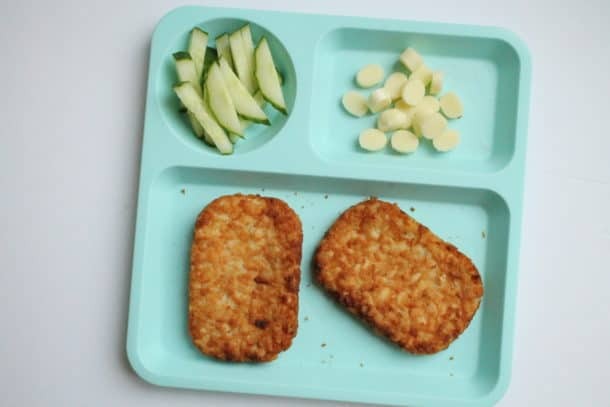 They believe in “Empowering Different”, as do I, so they are a great fit here at Your Kid’s Table. All the products shared below are affiliate links for Fun and Function. 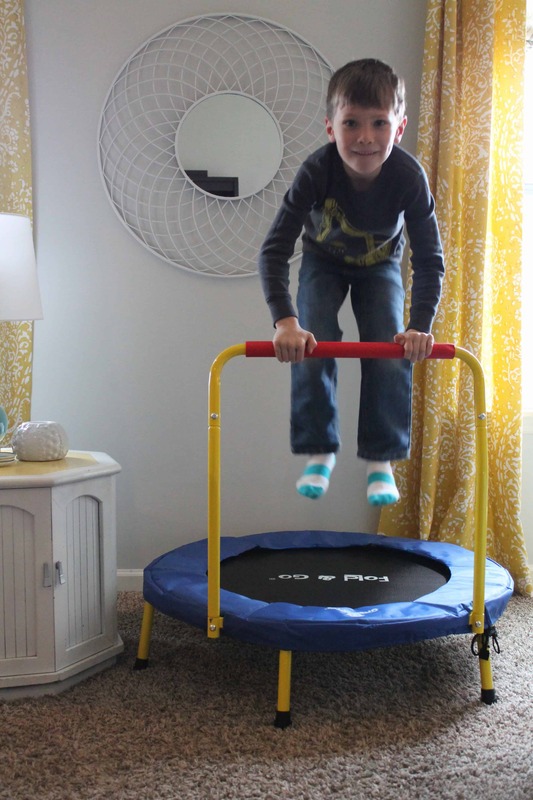 Jumping – Any jumping activity is great for sensory seekers because it is loaded with tons of proprioceptive and vestibular input. 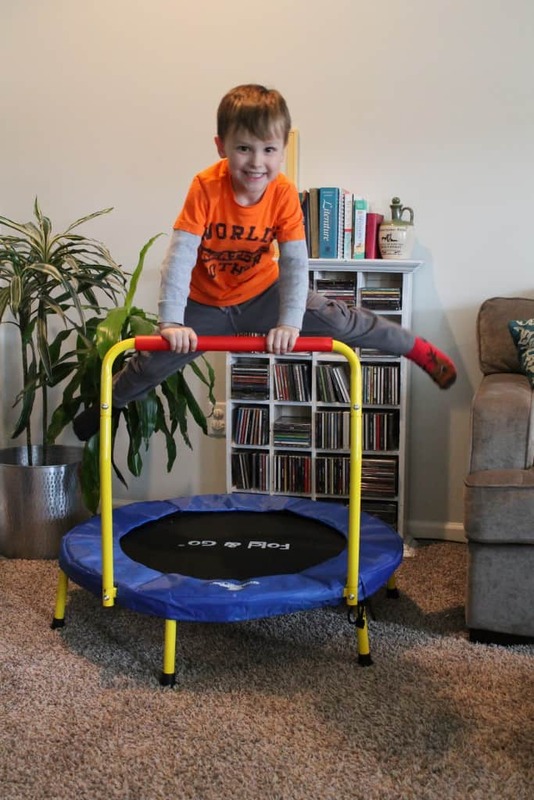 You can let your child jump on the couch, bed, or a trampoline, which is hands down my favorite sensory toy. It is almost always my first recommendation for kids that are super active, rough, or climbing the walls. Fun and Function gave me the Fold and Go Trampoline to try out, and we love it! It holds up to 150lbs (yay, I can jump on it too!) and all of my kids love it, especially my wild child. He initiates using it a lot on his own and if he seems antsy before bed or meals I’ll have him jump on it for a few minutes before hand. The Fold and Go was really easy to put together, I did it myself. Of course, the best part is that it can fold in half and flat if you want it too. You do have to take out two screws and remove the cover from the springs so it isn’t something you would do every night, but it would work if you were traveling or wanted to put it a way for a little while. The Fold and Go Trampoline from Fun and Function. Very sturdy, no tipping or shaking with big bouncing! Great big bounces with safety handles. Climbing – Climbing also stimulates proprioception and vestibular input! Using jungle gyms and stairs in the home are great activities. I also love the fabric tunnel, which requires some adult help to hold one end of the tunnel open. I share a DIY version here, or you can purchase one ready to go here. A lot of deep pressure is also happening with the tunnel, which is very calming. Vibrating toys – Vibration gives a lot of proprioceptive input and some vestibular too, believe or not. 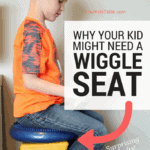 Not all kids like vibration, so you might want to try a small bug like this first (as a therapist I’d always keep one in my bag), or if you know your kid responds well to vibration using this vibrating seat is perfect for meals, homework, story time, etc. Pressure – Squeezing into tight spaces like a designated cool down spot or behind the couch achieve this, as well as big bear hugs. One item in particular I’ve been eyeing up is the Cozy Canoe. I haven’t used one of these myself, but this thing looks awesome. While it doesn’t provide vestibular input it does give lots of proprioception with the squeeze you get while sitting in it. 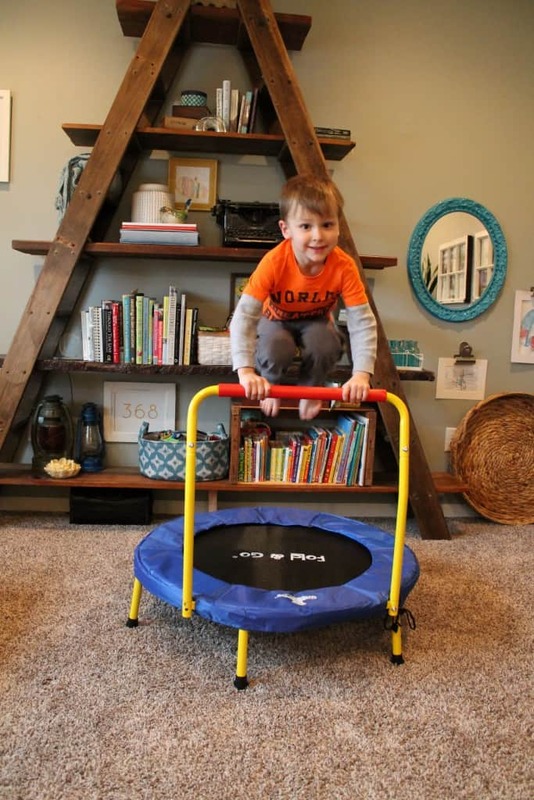 There will be times when a really active child won’t want to sit still for this, they may need to jump on the trampoline first or crawl through a tunnel a few times. If I were using the canoe, I would read bedtime stories in it or even put homework on a clipboard and let them complete in there. These strategies are do-able right? Try implementing some of these sensory seeking activities and see how your wild child responds to them, truly it can make all the difference for you and them! And, if you’d like even more ideas head over to Powerful Proprioceptive Activities that Calm, Focus, & Alert. Don’t forget to sign up for the FREE Sensory Workshop! Our little guy is showing strong symptoms of hyposensitivity- very rough and tumble. Always has his legs moving, always yelling rather than talking, jumping around the couches and off very high things- loves spinning and doing very dangerous things. We are just lucky he is extremely coordinated. Anyway I have two questions- what sort of symptoms of hyposensitivity would you see in an adult? I cannot seem to find any info. and to be diagnosed with hyposensitivity do all of the symptoms need to show as my boy does not have each one. But show very obvious signs to others. You definitely do not need to have every single symptom. As for adults, they are usually very active and adventure seekers. However, there isn’t always a genetic component if that’s were you were looking in to. I hope that helps. Did you see the sensory diet workshop? I think that would be helpful for you if your looking for resources. It can all be very overwhelming, glad you found you’re way here! These are really good thoughts Frances and I know exactly what you’re talking about. First, I’d check out my post on proprioception- you’ll find a lot more in there that will be helpful. Second, I’d really focus on doing the jumping with him and counting or singing a nursery rhyme to keep it structured and then move to a calming activity following like wrapping up tightly in a blanket or playing with a toy that vibrates- both are calming, and he may not “like” those, just some ideas. If your unsure of the trampoline then I’d use the couch or bed and see if you can get him more regulated before investing in the trampoline. I do love the trampoline and maybe you could put up some ground rules about how he uses it if you get one? Just an idea. Hope that helps! Hi Alisha…. Help…. What do you suggest? In regard to the “Wild Child”… that is my grandson “B”! “B” is 3 1/2 years old. “B” has been diagnosed with some sensory issues (but not SPD because he only has a few sensory issues. No ADHAD or Autisim). Without going into all the details I will get straight to my question…. How do you suggest getting the wild child” to STOP??? “B” has just begun running back and forth in the house, humming. I suggested my daughter try the mini trampoline (which they do have). He is using it…. But, now he is still running, and running to the tramp and jumping, and back to running. It is continual…. He will not stop!!! FYI… he is in OT, they have a weighted blanket, they use a chew tube, they are very careful with his diet, use/try oils & natural remedies…… The only thing that seems to calm him is letting him have the iPad – which they try very hard to limit (it is currently put away)! The last 2 years we have fell down the Sensory Processing (and ADHD) rabbit hole with my now 8 year old. She met all her markers and wasn’t quite “wild”, but Grampa correctly nick named her Live Wire! We LOVE our OT and behavioral counselors who get the sensory needs this sweetheart needs to function, and help me and dad see the forest through the trees when the melt downs are coming too fast! SPD in our middle girl has totally opened our eyes to ourselves, and help us manage our other 2 better because we assess the sensory environment/personal needs before disciplining “wild” or disruptive behaviors. Great site with great info on all things developmental! Thanks! Oh how i wish this was made available and studied earlier for my brothers sake. He is 30 now and most of the options then were medications that have had long term affects, hospitalizations, and much counseling. This is a wonderful resesource and it provides a sense of hope for our future generations! What a great resource!! I really enjoy your site. 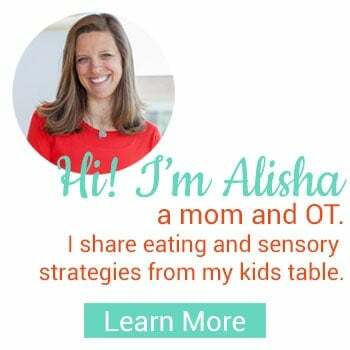 While I am not an OT myself (I am a trained Speech Language Pathologist assistant) I work with and see a variety of children with sensory needs. I also have a 2 year old son. 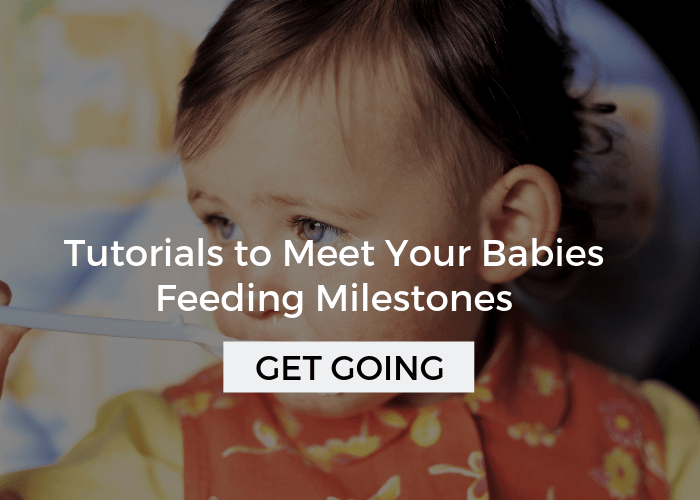 There are no concerns for him at all with meeting appropriate developmental milestones, however these are some great strategies to incorporate as a way for him to really expend some energy! He’s a typical energetic and active boy 🙂 Thanks again! Hi Elle! Thank you so much for that comment, I really value your opinion! I’m glad you found some strategies for your little guy!